LuvYa Reader Recorder is a unique take on the traditional story time that both parents and children will love. 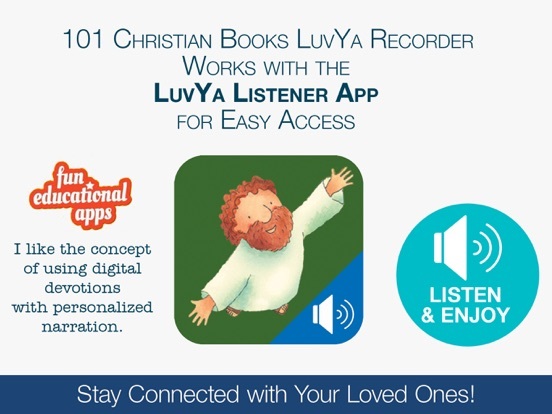 This recorder app allows parents, grandparents or anyone to record biblical stories, daily devotions, and prayers that can be shared with children, grand-children and others anywhere using the LuvYa Reader Listener app. This app provides a great way for families to stay connected no matter where they are in the world. 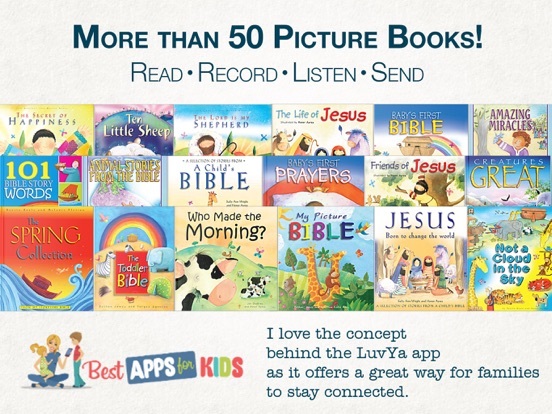 I love the concept behind the LuvYa Reader Recorder app as it offers a great way to use technology for families to stay connected. The set up is easy to use and parents or grandparents can easily download the app, set up their profile and begin recording one of four pre-loaded stories and devotionals that can be sent to their children or grandchildren anywhere. The images and illustrations included are also very engaging and the receiver (using the LuvYa Reader Listener app) can easily access the recording and follow along with the story or devotional with ease. The quality of the recording is also very good which is important for this kind of app. While this app is aimed at connecting families and sharing stories from The Bible, it isn’t what you think of when you think of traditional educational apps. 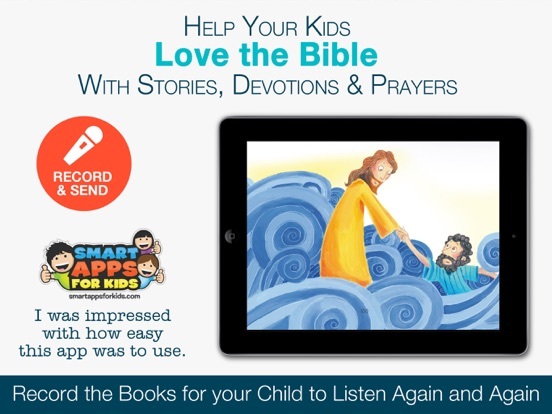 This app does offer children a new way to learn biblical stories and read along using the listener app. Unlike other digital storybooks, this app does not include any text highlighting which is too bad and could enhance the educational component to allow children to learn new words and practice their reading skills as they follow along. Imagine being several miles from grandma or grandpa and still being able to hear their voice with a bedtime story before bed. LuvYa Reader Recorder makes that possible which is great for children of all ages. 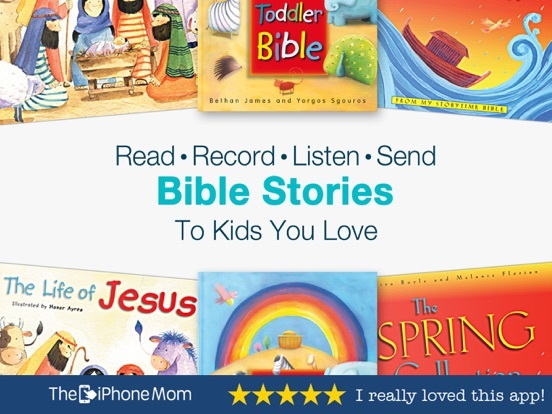 The app comes pre-loaded with four stories and devotionals to start with and an entire store of other options to choose from all of which children will love. 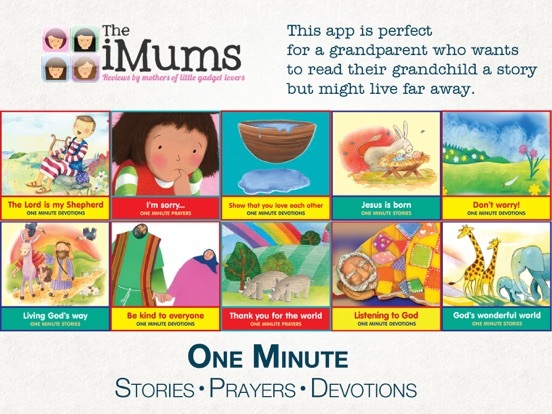 While this isn’t one of the apps you would ‘play’ it does offer children the chance to connect with loved ones near and far in a new way. Both the LuvYa Reader Recorder and Listener apps are free to download and the recorder app comes pre-loaded with four stories that can be recorded and shared right off the bat. There are additional stories, prayers, and devotionals that can be purchased ranging in price from just under two dollars to just under five. While individually the prices don’t seem to be too much, it would be nice to have an option to purchase a bundle at a reduced rate for parents and grandparents. It is also important to note that the stories can only be shared up to three times before another purchase needs to be made. I think parents will agree this app is a great value as it offers a few stories to try for free before committing to purchasing more.